Heeft u een vraag voor Aroma Spa and Bungalows? 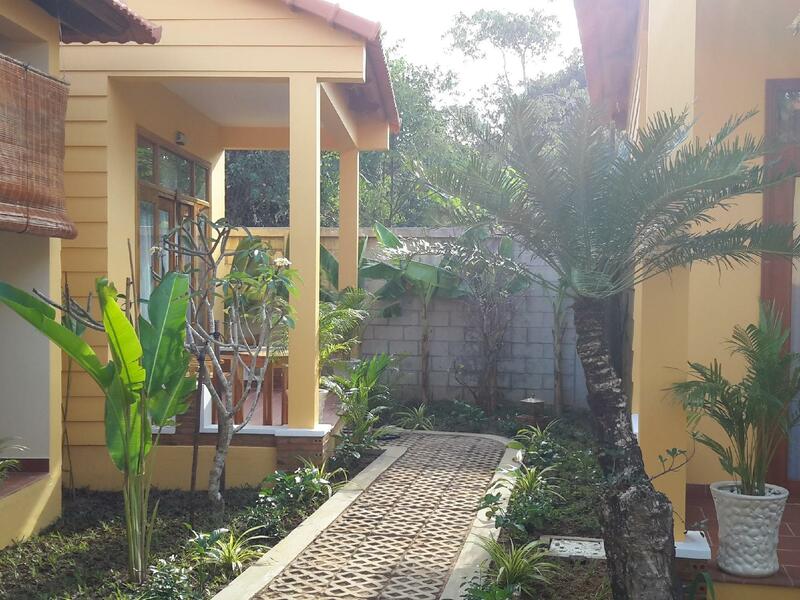 Het Aroma Spa and Bungalows in Dao Phu Quoc ligt op een gunstige locatie voor reizigers met een interesse in stranden, familievermaak, romantiek en is bij uitstek geschikt om te ontsnappen aan de hectiek van alledag. Het levendige stadscentrum is slechts 7.2 km verwijderd. Dankzij de praktische locatie liggen alle belangrijke trekpleisters in de buurt van het hotel. De faciliteiten en diensten, geboden door het Aroma Spa and Bungalows, garanderen een plezierig verblijf voor gasten. Voor het comfort en gemak van de gasten biedt het hotel 24-uur roomservice, gratis wi-fi in alle kamers, snel in- en uitchecken, wi-fi in openbare ruimtes, parkeerplaats. Het hotel heeft 8 prachtig ingerichte kamers voor gasten, elk met plasma tv, internet (draadloos), draadloos internet (gratis), rookvrije kamers, airconditioning. Het hotel biedt geweldige recreatiemogelijkheden die uw verblijf onvergetelijk zullen maken, zoals wellnessfaciliteiten, massage, solarium, tuin. Ontdek een boeiende mix van professionele dienstverlening en een breed scala aan faciliteiten in het Aroma Spa and Bungalows. the aircon kept cutting off. There was no restaurant or anywhere to buy a drink. Nice quiet place, bed is to hard but not a big issue, 10 min walk to one beach and 15 min to other one. Breakfast was good. We would definitely go back there. Nice and quiet, free bike to go to beach else 15min walk, beach ok. 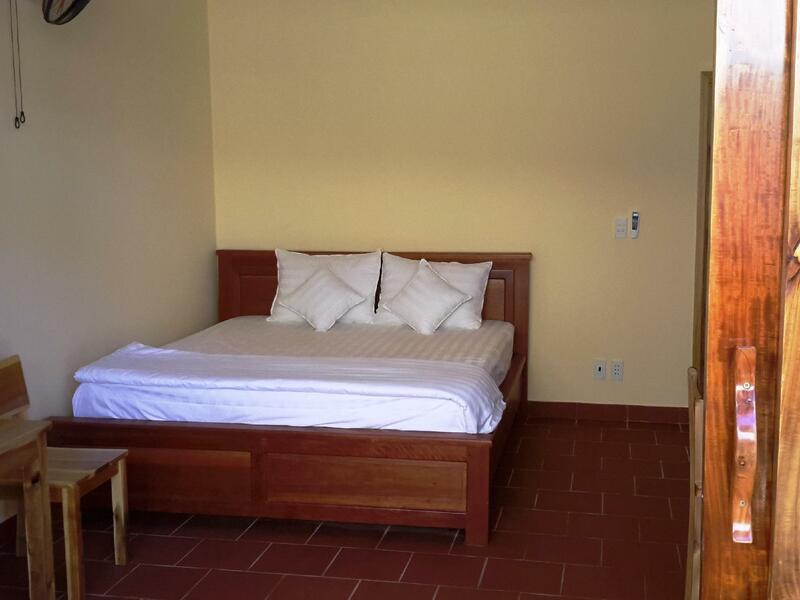 The rooms are large and simple, but fine for budget accommodation. Outside each bungalow are pretty trees and flowers, so feels like you are in a tropical island. I feel it is a bit of a shame to give this place a mediocre review, as it could be great, but never quite gets there. The rooms are fine, large and simply decorated, with an shower/loo open to the stars at the back (wear insect repellant for evening visits!). The bed was hard as rock though, and after 5 nights were are both stiff. The room was clean when we arrived, but after 4 nights we had to ask someone to at least empty the toilet paper bin as no one comes in to check anything. Only one person speaks any English, and that is scant at best. This is fine, I don't expect everyone to speak English but many times we thought our requests had been understood, with "yes yes", but in actually fact nothing had registered. The breakfasts were not great, but again, it's a budget hotel so don't expect much but as a result we decided never to eat there for our evening meal. Even though there were only ever 2 of us at breakfast, the food never came out at the same time. Our room backed on to a local village house, which was noisy with tv and karaoke until the small hours sometimes. This is not the fault of the hotel at all, but they maybe should talk to the neighbours about being considerate. We didn't use the spa facilities. It is a fair walk to the beach (15 mins maybe) so recommend a scooter (and to explore the northern beaches). We hired ours from the village as the aroma spa ones were a lot more expensive. We had already paid in advance through agoda, but still got presented with the full bill to pay when we left so i had to prove I had already paid. They are just a bit disorganised, but I think with a little help it could be a great place to stay as they are all nice people there. If you are looking for a cheap place it's fine though, for a few nights only. Although the general lay-out of the buildings was cramped, the rooms were spacious and clean, the bathroom in good condition. The meals that we could receive were generally tasty, but many of the items on the menu were not available. One smoothie had considerable quantities of plastic ground into it. Staff was helpful, but English skills were very limited. Nevertheless we would recommend this as an affordable and friendly, clean place. Aroma Spa vient de déménager (à 1km environ de l'ancien emplacement)et nous avons pu inaugurer la première chambre. à partir de aroma spa, vous pourrez profitez des plages autres resort, comme Bo Resort, Mango Bay... Etant en cours de finition, certains points restent à améliorer mais l'ensemble est prometteur et un bon rapport qualité prix sur l'ile. Rigtig god værdi for pengene især ved sammenligning med resortpriser. Aroma udlåner cykler gratis hvilket forkorter transporttiden til stranden. Personalet taler begrænset engelsk. По приезду мы очень расстроились месторасположением отеля,потом за 2 дня проживания и путешествии по острову ,наше мнение кардинально поменялось.и взаместо 2 ночей мы остались здесь на 7дней:-).ПРосто отдохнуть.номеров всего 5 и сотрудников 3 девочки которые просто тобой дорожат и отзываться по каждому вопросу с полным вниманием.Сюда мы пришли из Камбоджи ,а до Камбо был Тай.